Aldeyra Therapeutics Inc (NASDAQ: ALDX) rose 65.3 percent to $11.80 in pre-market trading after the company's phase 3 trial for allergic conjunctivitis met its primary endpoint. NanoViricides Inc (NYSE: NNVC) rose 41.5 percent to $0.44 in pre-market trading after the company requested a meeting with the FDA to prepare for a clinical trial. Hunter Maritime Acquisition Corp. (NASDAQ: HUNT) rose 22.2 percent to $22.49 in pre-market trading after surging 96.90 percent on Monday. Bed Bath & Beyond Inc. (NASDAQ: BBBY) shares rose 19.2 percent to $16.53 in pre-market trading following media reports that three activist hedge funds plan to launch a proxy fight to replace all 12 current board members. 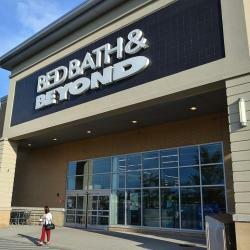 Raymond James upgraded Bed Bath & Beyond from Market Perform to Strong Buy. Biocept Inc (NASDAQ: BIOC) rose 13.6 percent to $1.17 in pre-market trading after the company announced it would apply its EmpowerTC product to urology. Also, Maxim Group initiated coverage on the stock with a Buy rating and $3 price target. Inovio Pharmaceuticals Inc (NASDAQ: INO) rose 9.1 percent to $3.95 in pre-market trading after Cantor Fitzgerald initiated coverage on the stock with an Overweight rating. Brainstorm Cell Therapeutics Inc. (NASDAQ: BCLI) rose 7.3 percent to $4.57 in pre-market trading after reporting grant of an additional new European patent for NurOwn. The9 Limited (NASDAQ: NCTY) rose 7 percent to $2.15 in pre-market trading after falling 20.24 percent on Monday. BeiGene, Ltd. (NASDAQ: BGNE) shares rose 5.8 percent to $133.32 in pre-market trading. Coupa Software Incorporated (NASDAQ: COUP) rose 4.9 percent to $94.12 in pre-market trading. ZTO Express (Cayman) Inc. (NYSE: ZTO) rose 4.5 percent to $18.64 in pre-market trading. New Age Beverages Corporation (NASDAQ: NBEV) shares rose 4 percent to $5.46 in pre-market trading. PagSeguro Digital Ltd. (NYSE: PAGS) rose 3.8 percent to $30.00 in pre-market trading. Ciena Corporation (NYSE: CIEN) rose 3.5 percent to $38.60 in pre-market trading. Eyegate Pharmaceuticals Inc (NASDAQ: EYEG) rose 3.1 percent to $0.40 in pre-market trading after the FDA said Eyegate is ready to move forward with a pivotal study for its Ocular Bandage Gel. OpGen Inc (NASDAQ: OPGN) fell 35.2 percent to $0.57 in pre-market trading after the company filed a 'Notice of Effectiveness' with the SEC. This indicates the company will proceed with a stock offering. CAN-FITE BIOPHA/S ADR (NYSE: CANF) fell 31 percent to $0.89 in pre-market trading after the company's phase 2 trial for advanced liver cancer did not meet its primary endpoint. Zomedica Pharmaceuticals Corp (NYSE: ZOM) fell 28 percent to $0.41 in pre-market trading after the company priced a 6.52 million share stock offering at $0.46 per share. Catalyst Pharmaceuticals, Inc. (NASDAQ: CPRX) shares fell 5.5 percent to $4.95 in pre-market trading after the company gave a corporate overview at Oppenheimer's healthcare event. Catalyst highlighted 2 possible catalysts in presentation: Phase 3 data for CMS, MuSK-MG candidates. Akari Therapeutics, Plc (NASDAQ: AKTX) shares fell 5.2 percent to $3.50 in pre-market trading after dropping 10.00 percent on Monday. Aptose Biosciences Inc. (NASDAQ: APTO) fell 4.9 percent to $2.16 in pre-market trading. Inphi Corporation (NYSE: IPHI) fell 4.5 percent to $41.12 in pre-market trading. China Bat Group, Inc. (NASDAQ: GLG) fell 4.4 percent to $2.39 in pre-market trading after rising 6.84 percent on Monday. Orion Group Holdings, Inc. (NYSE: ORN) fell 3.8 percent to $3.07 in pre-market trading after reporting Q4 results. Myokardia Inc (NASDAQ: MYOK) fell 3.6 percent to $50.01 in pre-market trading after reporting a $200 million offering of common stock. iQIYI, Inc. (NASDAQ: IQ) fell 3.6 percent to $23.15 in pre-market trading after the company announced a $1.05 billion convertible note offering. Cheetah Mobile Inc. (NYSE: CMCM) fell 3.4 percent to $6.77 in pre-market trading after rising 3.55 percent on Monday. Cronos Group Inc (NASDAQ: CRON) fell 2 percent to $20.12 in pre-market trading following FY18 results.